Whether you're looking for modern designs to complete a contemporary setting or a traditional look to add some classical style you'll find bathroom furniture that is perfect for your home! As an essential part of your bathroom decor, choosing the right style of furniture is key to getting a striking result! We all want a stylish bathroom with beautiful furniture but, it also has to be practical! 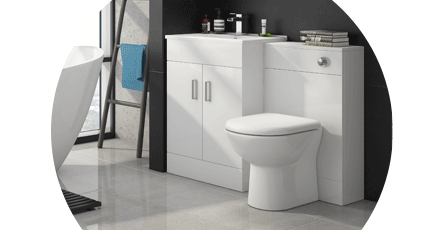 Our bathroom furniture includes units, cabinets and drawers of shapes and sizes to help you safely store your things and keep your room neat and tidy! If you're looking for cloakroom furniture then our slimline and wall hung products are great for adding style and storage to small bathroom spaces.